Southwest Airlines may have reported disappointing load factors and passenger numbers for September, with the outlook looking equally negative, the carrier is still brightening up the skies! 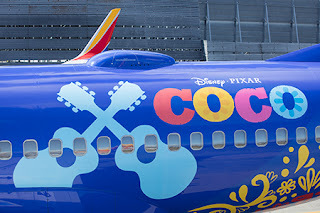 The low-cost airline celebrates Disney/Pixar's all-new, big-screen adventure "Coco" in super high-flying style this autumn that with a comprehensive promotional program including a Boeing 737-700 aircraft emblazoned with the vibrant "Coco" logo and artwork inspired by the film. 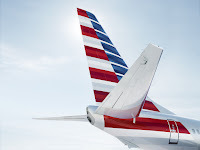 This wonderful and vibrant liveried aircraft will fly to many destinations on the airlines' vast network throughout the United States, Mexico, Central America, and the Caribbean through the end of 2017. "Coco," the film opens in across US cinemas on 22nd November this year. "Coco" is about a boy with big dreams and a strong connection to his family," says Director Lee Unkrich. "These themes really lend themselves to teaming up with a company like Southwest. And after working for nearly six years to bring this story to life, we were all so excited to see "Coco" on the side of an aeroplane." Read on for more details of the promotional plans including a contest for a family to attend the US premiere of "Coco"
"Southwest specializes in bringing unique and meaningful moments to our Customers," said Southwest Airlines Vice President Controller and California Executive Leah Koontz at the aircraft unveiling event in Oakland. "Disney/Pixar's "Coco" centres on the universal themes of Heart and family, core values we celebrate every day with our Employees and Customers." Southwest is positively encouraging aircraft spotting, asking customers to share their photos of the special "Coco" painted aircraft using #CocoAndSouthwest. Southwest is also giving families the opportunity to enter for a chance to send their family on an adventure of a lifetime by entering the Southwest Family Flyaway sweepstakes between 1st and 25th October to win roundtrip air travel for four to Los Angeles; four tickets to the Disney∙Pixar "Coco" U.S. premiere and party on 8th November 2017; a two-night stay at the Hollywood Roosevelt Hotel in Hollywood; and a $1,000 VISA® gift card for travel expenses. To view the full rules and to enter, visit familyflyaway.com. 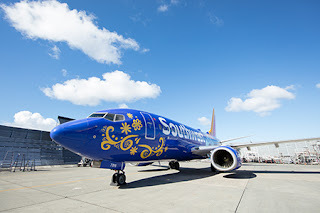 Want to see how Southwest got the new livery on one of its aircraft? Watch this video!